• 60 gram batt, made on my drum carder. • Composed of domestic wool mill ends, mohair, icicle, silk noil, fake cashmere. • Spun on my slowest ratio, two-plied at my second-fastest ratio, from a center-pull ball. Oh, how I love BFL! I’m already itching to get back to the wheel, but I can’t decide what to spin up next! Happy Friday. 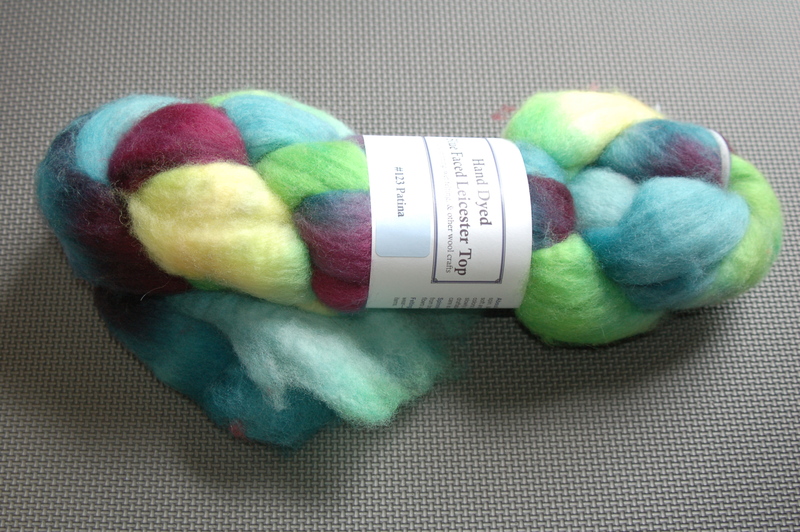 This entry was posted in spinning and tagged batts, fiber arts, fiber arts friday, handmade, handspun, yarn. Bookmark the permalink. BEAUTIFUL! I love the bright pink specs in the top one. Both turned out so pretty and vibrant. Your yarns are beautiful! I need to starting spinning again. Ohh! They are both so pretty! I’m saving my wheel projects for July but your yarn creations are really wanting me to get it back out and work up a quick bobbin or 2. You should! Why are you saving up all your wheel projects? 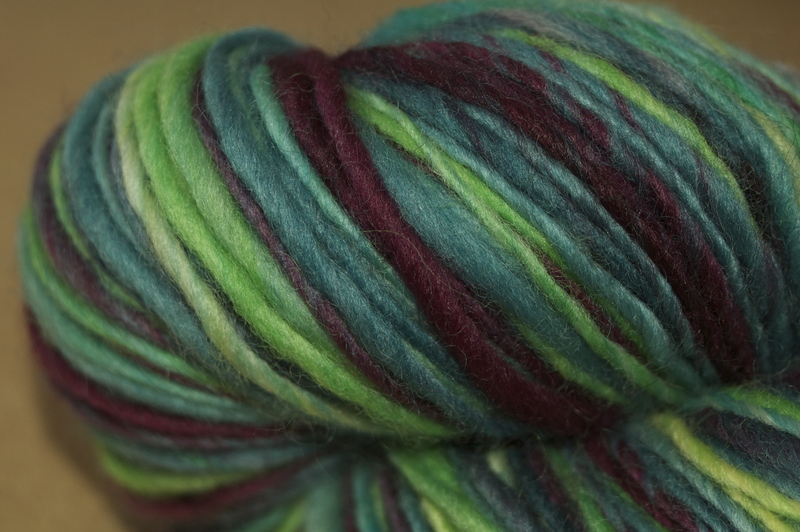 The colors in the BFL are beautiful. 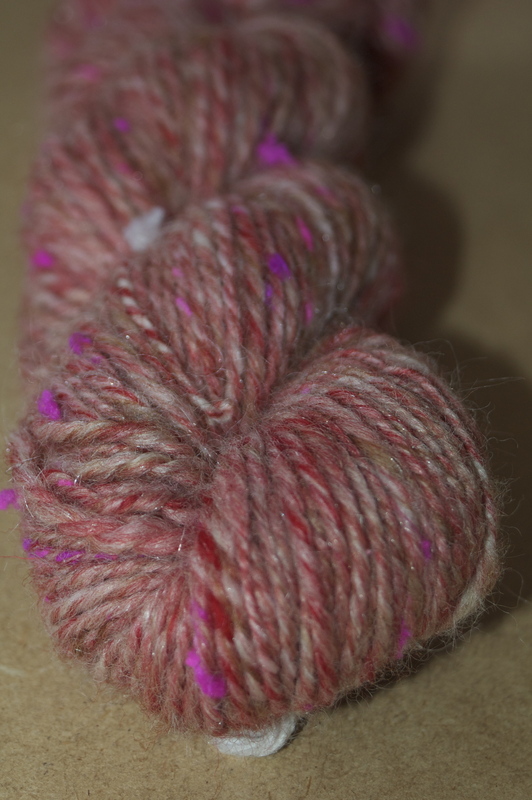 It is always so interesting how the unspun fiber spins up. 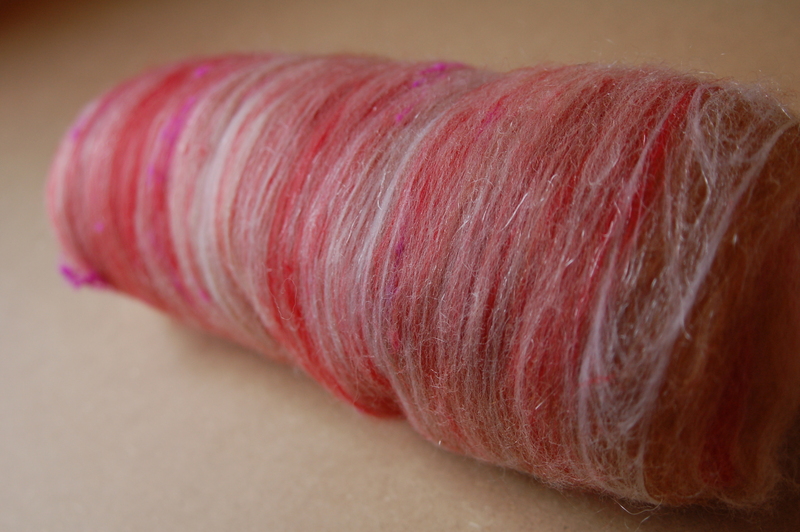 There’s so many ways it can turn out, depending on how it’s spun, yup! 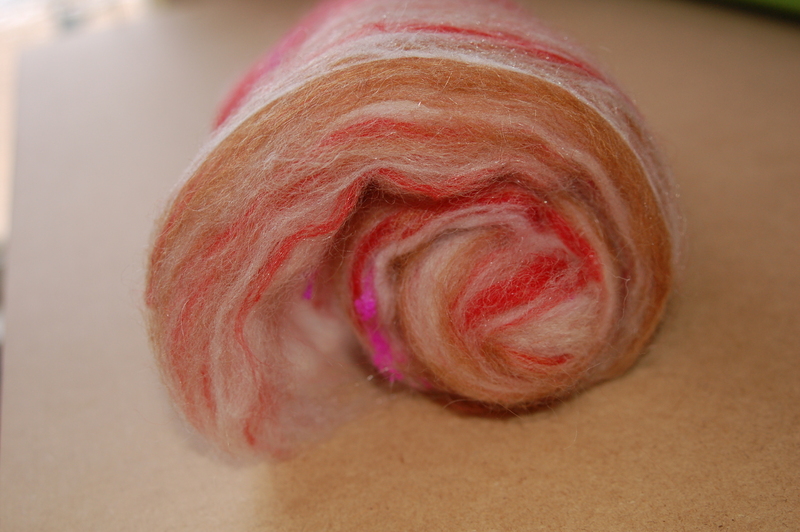 The ‘candy striper’ one is fantastic, but I cannot believe how your frabjous fibers roving spun up…amazing!! I love it! Both are beautiful but I really love the blue/green/yellow BFL. Your yarns look wonderful! I am having a harder time when I visit the yarn shop now because I keep comparing their yarns to what I spin. I know I can get the color and weight I want…not always the yardage. Yeah, it does sometimes make it harder. But I can’t spin for everything I want to knit and crochet yet, either. My yardage is generally in the ballpark, I think. Oooo, good spinnin goin on! I love the colors! I hope to learn how to do that someday. Both skeins are beautiful! Spinning is such a rush! ooo I really like the colours of that second one!! I love seeing the transition from fiber to yarn. Gorgeous! I know nothing about spinning. Does it take long to learn? What is long? :p But seriously, not necessarily.